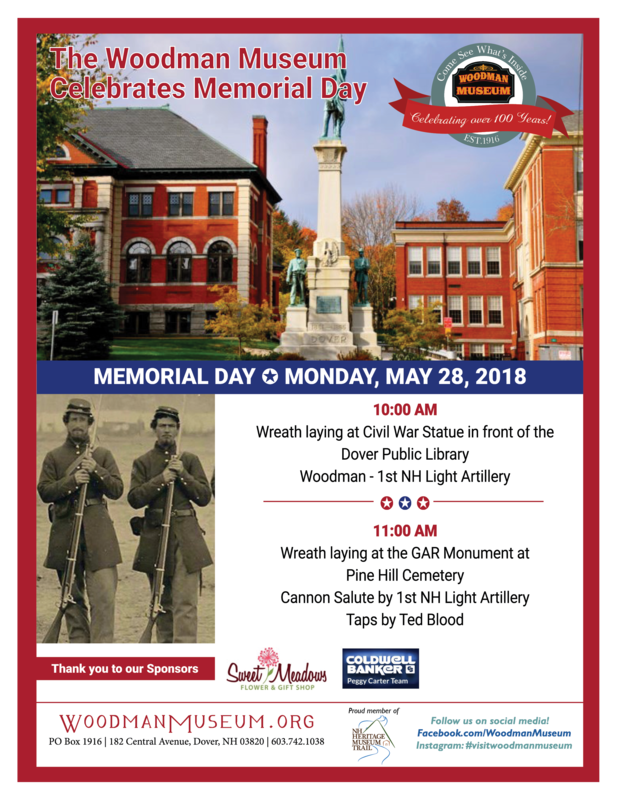 The Woodman Museum will be leading an effort to commemorate 2018’s Memorial Day (Monday, May 28) on the grounds of the Dover Public Library and at the Grand Army of the Republic Monument at the Pine Hill Cemetery. At 10:00am, members of the Woodman Museum—alongside 1st NH Light Artillery reenactors—will be laying a wreath at the Soldiers and Sailors Monument in front of the Dover Public Library (73 Locust St.). 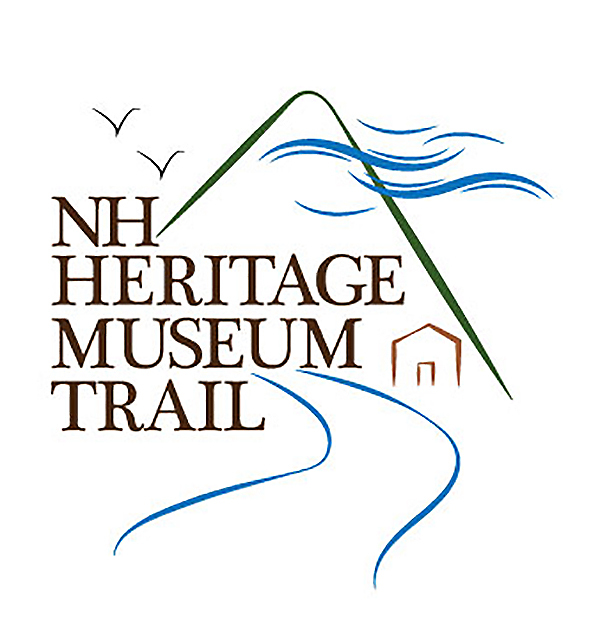 At 11:00am, there will be another wreath-laying at the GAR Monument at Pine Hill Cemetery (131 Central Ave.), accompanied by a cannon salute by the 1st NH Light Artillery and the Taps will be played by Ted Blood. Decoration Day, a tradition started in 1868 by General John A. Logan of the Grand Army of the Republic, was originally intended to be a day for the nation to decorate the graves of the Union war dead with flowers. However, by the 20th century, multiple observances of war dead on both sides of the conflict merged and the day, redubbed ‘Memorial Day,’ eventually came to honor all Americans who died during the crse of military service. The Soldiers and Sailors Monument that stands in front of the Dover Public Library (opened in 1905) was inspired by the city’s local GAR chapter and members of the Women’s Relief Corps. The monument was dedicated on October 25, 1912 after a parade of 150 Civil War veterans. The forty-foot tall granite monument was erected with funds donated by Colonel Daniel Hall, the Woodman Museum’s first head trustee. The involvement of the 1st NH Light Artillery is being sponsored by Peggy Carter of Coldwell Banker (www.coldwellbankerdover.com) and the wreaths to be used for the ceremony are courtesy of Sweet Meadows Flower & Gift Shop (www.sweetmeadowsflorist.com).